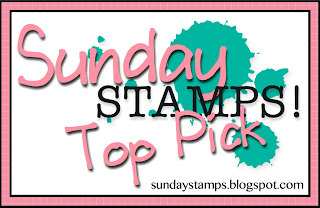 Sunday Stamps... Weekly Challenge: Top Picks for SC83! Thank you again for joining us.. We will see you all back here again tomorrow with a new Sketch challenge! Thank you so much for loving my little dancing frog! I was surprised and thrilled to find my card among the Top Picks. Thanks again. Thanks for the pick Marie!